What is Wonderful Word Weaving? Wonderful Word Weaving (aka W3) is a thoughtful, fun, challenging & educational word game. W3 can be played co-operatively or competitively by two or more people. 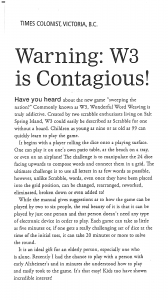 It is especially great game to play individually. W3 is very portable, does not require a game board and can be played anytime, anywhere by persons aged 9-99. "Every day the recreation calendar is filled with activities that will stimulate your mind, engage your body and enrich your spirit. 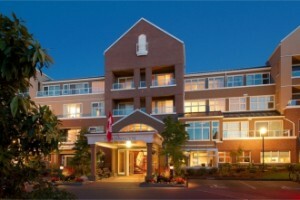 Favorite resident activities include wonderful word weaving, backgammon and live music." Read it for yourself folks. Thank you W3 players! Keep on rolling the dice. 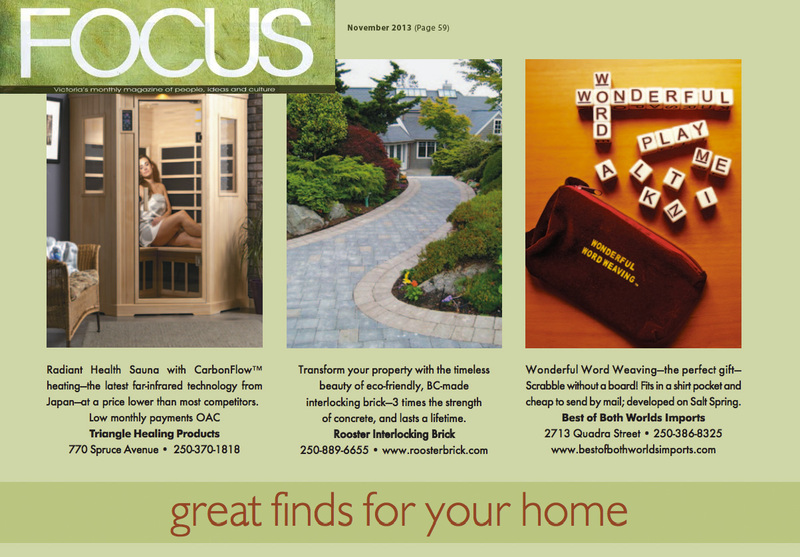 We are pleased to show, W3 was recently featured in Focus Magazine - Victoria's magazine of people, ideas and culture. Thanks again! Enjoy playing folks. Click the image to the left to see the full sized article which appeared in the Victoria Times, September 18, 2013. The headline says it all! "Have you heard about the new game sweeping the nation? Commonly known as W3, Wonderful Word Weaving is truly addictive. 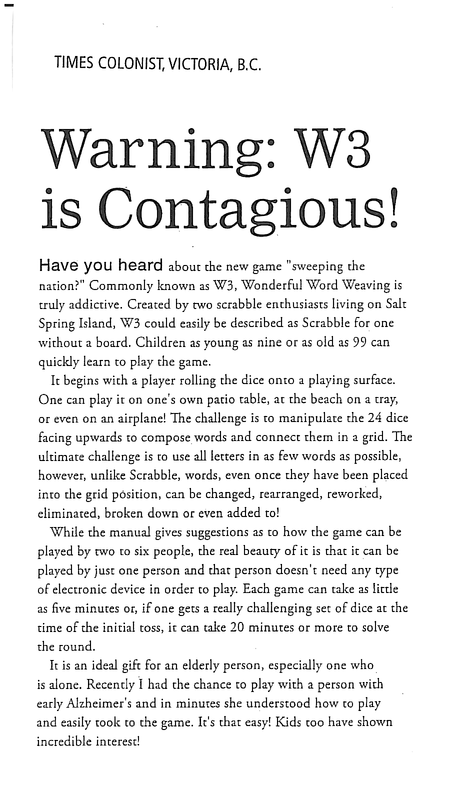 Created by two Scrabble enthusiasts living on Salt Spring Island, W3 could easily be described as Scrabble for one without a board. Children as young as nine or as old as 99 can quickly learn to play the game..."